TOPEKA, Kan. -- As a girl in Kansas, Linda Brown's father tried to enrol her in an all-white school in Topeka. He and several black families were turned away, sparking the Brown v. Board of Education case that challenged segregation in public schools. 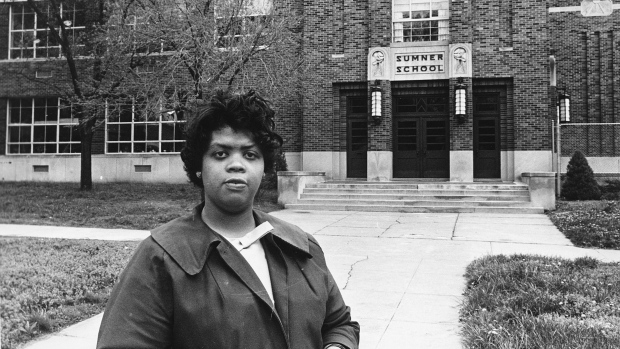 A 1954 decision by the U.S. Supreme Court followed, striking down racial segregation in schools and cementing Linda Brown's place in history as a central figure in the landmark case. Funeral officials in Topeka said Brown died Sunday at age 75. A cause of death was not released. Arrangements were pending at Peaceful Rest Funeral Chapel. Sherrilyn Ifill, president and director-counsel at NAACP Legal Defence and Educational Fund Inc., said in a statement that Linda Brown is one of a band of heroic young people who, along with her family, courageously fought to end the ultimate symbol of white supremacy -- racial segregation in public schools. 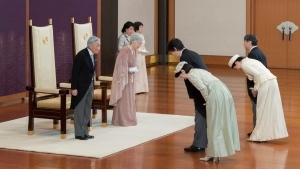 "She stands as an example of how ordinary schoolchildren took centre stage in transforming this country. It was not easy for her or her family, but her sacrifice broke barriers and changed the meaning of equality in this country," Ifill said in a statement. The NAACP's legal arm brought the lawsuit to challenge segregation in public schools before the Supreme Court, and Brown's father, Oliver Brown, became lead plaintiff. Several black families in Topeka were turned down when they tried to enrol their children in white schools near their homes. The lawsuit was joined with cases from Delaware, South Carolina, Virginia and the District of Columbia. On May 17, 1954, the Supreme Court ruled unanimously that separating black and white children was unconstitutional because it denied black children the 14th Amendment's guarantee of equal protection under the law. "In the field of public education, the doctrine of 'separate but equal' has no place," Chief Justice Earl Warren wrote. "Separate educational facilities are inherently unequal." The Brown decision overturned the court's Plessy v. Ferguson decision, which on May 18, 1896, established a "separate but equal" doctrine for blacks in public facilities. Brown v. Board was a historic marker in the civil rights movement, likely the most high-profile case brought by Thurgood Marshall and the lawyers of the NAACP Legal Defence and Education Fund in their decade-plus campaign to chip away at the doctrine of "separate but equal."